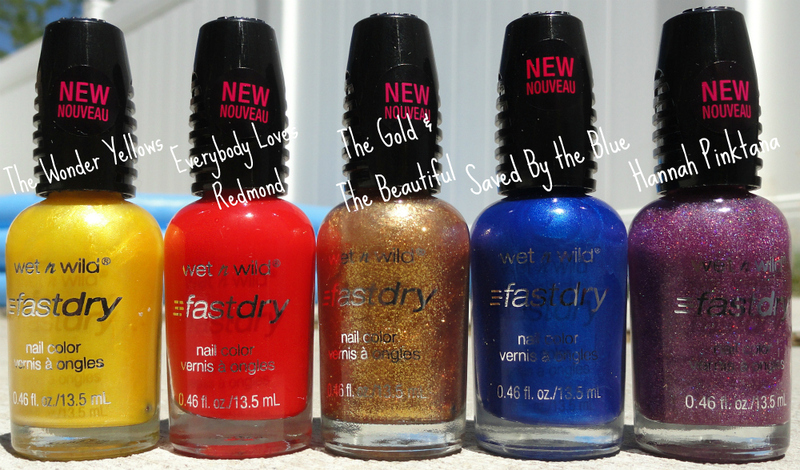 Wet n' Wild has a new line of polishes out called Fast Dry, well new since around last Fall. I got the opportunity to test a bunch of them out. I tried swatching on nail wheels for the first time, since there were so many of them and this was a few weeks ago when my nails were still pretty traumatized, so please forgive me this. I really enjoyed these polishes, more than I expected because I've never tried these and I wasn't especially ecstatic about the shades. 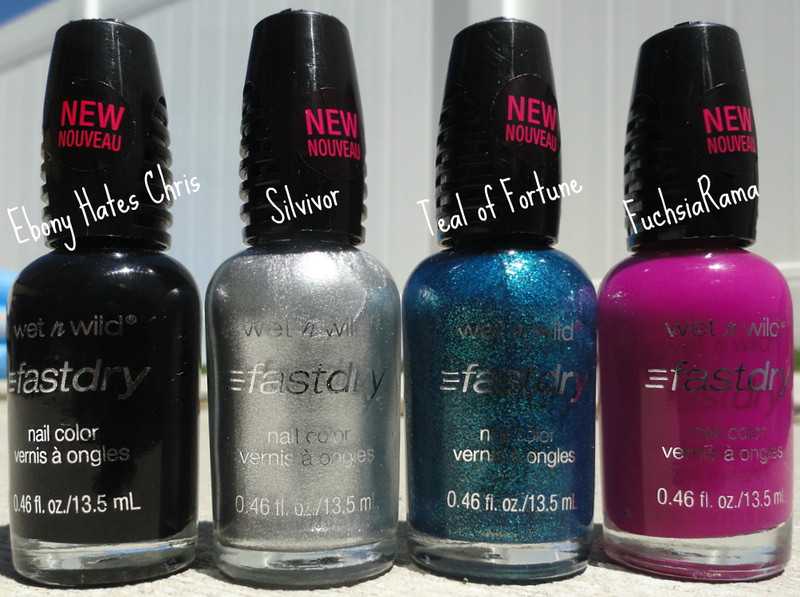 And the names of the polishes are really, really dorky. However, they are all of great quality and dry relatively quickly, I wouldn't necessarily call them "fast" compared to other polishes out there but they weren't slow by any means. *shrug* The shimmers were really lovely, and who doesn't adore holo glitter? 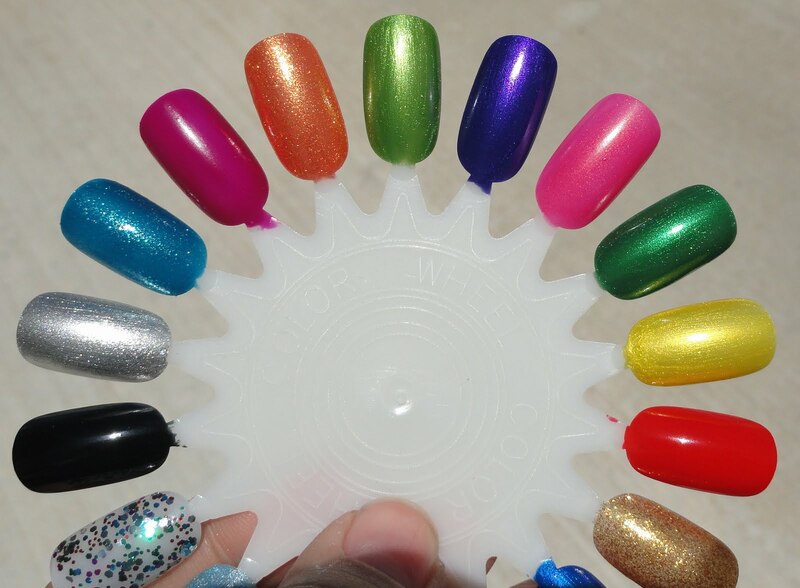 I like these polishes because they are "normal" colors but Wet n' Wild uses interesting finishes, not just all cremes, not all shimmers, not all glitters, etc. There are a little bit of everything, hence, something for everyone. I find it hard to get past how awful the names of these are, and the bottle design (slightly triangle and round?!) baffles me, but honestly the fine quality, the price, and availability definitely make up for their shortcomings. You can find these in most drugstores for about $1.99 each.